Journal Journey and Joy! 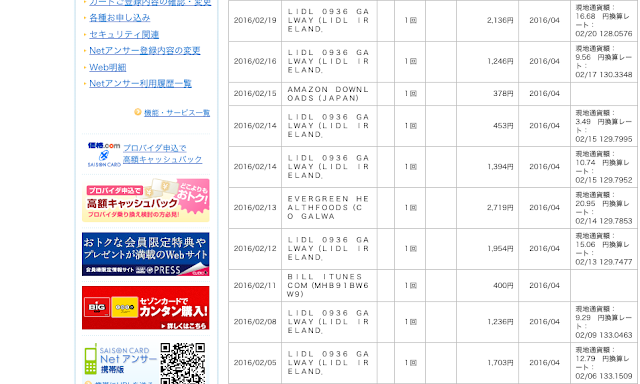 : [234€] How much do I spend and earn in Feb.
[234€] How much do I spend and earn in Feb. I'm staying in the Kinlay hostel apartment in the city centre. Instead of paying rent I'm required to work in the hostel for 16hours per week. I didn’t need to use any transportation in the last month. Our apartment shares a bicycle. I use sometimes it but the other people don’t use at all, so I can use anytime when I want to ride. The bicycle is not perfect but it works. I go to local organic farm by the bicycle. This is fine for me. I eat meal 2 times a day. And we volunteers can eat Kinlay’s breakfast. So I should take care my meal only one time a day. I drink a can of beer almost every evening, It costs only 1.5€. I love that. I often eat sandwiches. And my housemates call me "Mr. Sandwich"
I sometimes go to pub or restaurant with friends. Its also really fun. You know that I can listen good music any pub in Galway everyday. I started to learn how to earn money by writing blog. Its not cheap but I decide not to give up to live with my expression. Its quite good deal I think. I don't work now, so I have to save my money. Now I don't have to spend much money to enjoy life. It has advertising, If you come to see it, I will get bit of money from google. If you share it, I will get more. I try hard to write useful and interesting information for you for the future. Last month's page views are 729. I will write the blog more than previous month. I should earn more. I can do it. 【Pic & Video】How do I enjoy in Galway? Galway food festival 2016 was kicked off!! We lost money but enjoyed Dog race in Galway! Happy St. Patrick's day in Galway!! We shouldn't run in. but we did.